HAVANA – U.S. agricultural exports to Cuba fell below $300 million last year for the first time since 2003 as the communist-led island’s financial woes continued and it purchased food on credit elsewhere, a trade group said on Friday. The United States created an exception to its trade embargo of Cuba in 2000 to allow food and medicine sales, but it still denies Cuba credit, forcing it to pay cash up front. Although the United States and Cuba are seeking to restore diplomatic relations after more than five decades of confrontation, the embargo on Cuba remains largely in place. With Cuba increasingly turning to suppliers who extend credit, American farmers have argued for normalizing trade with Cuba so they can better compete. U.S. food sales of $291 million in 2014 were down from $349 million in 2013 and far from the $710 million peak in 2008, the New York-based U.S.-Cuba Trade and Economic Council said in a report obtained by Reuters ahead of its release on Friday. It attributed the decline to a cash shortage, Cuba purchasing on credit and from government entities, and a desire to pressure the United States to lift trade restrictions. President Raul Castro, who took over from his ailing brother Fidel in 2008, has introduced austerity measures, including significant cuts in imports and a push for trade credits with payments due in 365 days or more. A new private agricultural organization backed by U.S. Secretary of Agriculture Tom Vilsack is likely to seize on the report as an argument for ending U.S. sanctions against Cuba. The U.S. Agriculture Coalition for Cuba was formed after the announcement Dec. 17 that the United States andCuba would restore diplomatic relations. “Although agricultural exports to Cuba are legal, the financing and trade restrictions have hampered the ability of American farmers to compete with other countries, such as Argentina and Brazil, which do not face the same restrictions,” the National Corn Growers Association said last month when it joined the coalition of more than 30 U.S. farm organizations and businesses. 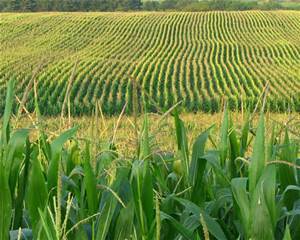 “Corn exports to Cuba have decreased from nearly 800,000 metric tons in 2008 to 200,000 tons in 2013,” it said. Cuba imports between 60 percent and 70 percent of its food. It buys chicken, corn, soy, wheat, animal feed and other products from the United States but most purchases come from Asia, Europe and Latin America and are made on credit. Cuba’s food imports were $2 billion in 2014 and are expected to increase by $200 million this year, the government said.